In what is likely my last post of the year on John’s blog, it’s my pleasure to share with all of you the following link to Cunard Line President and Managing Director Peter Shanks’ roundup of Cunard’s highlights of 2010. A vintage year, indeed! Watch as John announces the winners of this year’s “unofficial” Carnival Awards live from NYC. 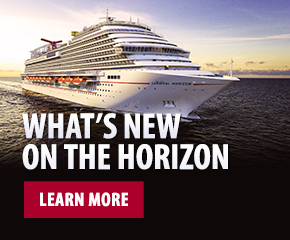 Follow our adventures in NYC, by subscribing to Carnival’s YouTube Page. Hi blogging friends, Everett here. With a lot of my fellow beards in New York with John, it’s a little lonely here at the office, but I’m thankful to at least have a beard on my face, and moving images of them to help warm my heart. Keep an eye on the blog later this afternoon… we’ll be posting a longer video recap of John’s day in New York. For now, be sure to subscribe to Carnival’s YouTube channel to be the first to know when new John’s videos are posted throughout the day, on top of all the usual fun stuff we share there! Didja Have a Happy Christmas? I Wish It Could Be Christmas Every Day…..My Arse. Maybe it was the seven-hour flight delay. Maybe it was arriving back from the sun to a country totally paralyzed by snow, a country that has survived the Germans and terrorists yet is paralyzed by a bit of white fluffy stuff. It could have been the fact that because there is snow on the roads Amazon couldn’t guarantee the delivery of Kye’s Christmas gift which meant I had to drive 30 miles to the big Bluewater Shopping Mall…..whatever the reason it caused me a rare case of consumer rage. It took a lot of digging and asking around, but I finally managed to piece together the full story on the secret New York event. I am sure the top beards at Carnival will get their knickers in a twist for me telling you prior to getting their approval but hey…………..it’s Christmas. 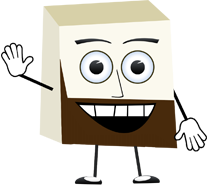 Hello my favorite bloggy people, Eric the Beard here. Tonight, I thought I would start this late night Bearded Q&A session a little differently….with a little bearded humour (spelt correctly).